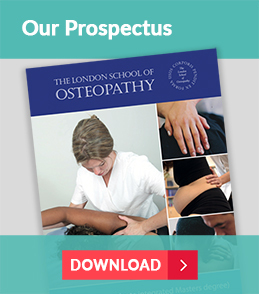 At the London School of Osteopathy we offer students the flexibility of choosing to complete their degree in Osteopathy on a full-time or a part-time basis. 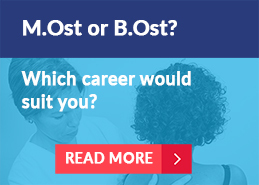 A full-time course will be completed in 3 ½ years or 4 years depending on whether you qualify with an MOst or a BOst. 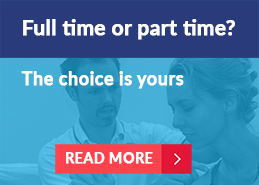 A part-time degree can be completed in 5 or 6 years. All students are initially enrolled on the MOst course. We understand that your commitments can change over time so we offer students the opportunity, at various points during their studies to transfer from a part-time to a full-time course and vice versa. Lectures will take place between Monday and Friday, where possible contact teaching hours are kept to 3 days per week. In addition students spend time in our clinic gaining all important ‘hands-on’ clinical experience. In year 1 this will consist of 100 hours per year, increasing to 600 hours in the final year. Lectures take place on alternative weekends (Saturday and Sunday) for a total of 18 weekends between September and June. Students also spend additional time in our clinic. In year 1 this will consist of 50 hours over the course of a year and gradually increases to 600 hours in the final year. Our flexible approach to learning extends to your studies within the clinic. Students are given the freedom where possible to select the hours each month they will spend in clinic. The table below is an example of how many hours you will need to allocate per week to each course option in the first year. 13 hrs of contact teaching. Clinic 100hrs over the year 50hrs over the year. Commitment 40 hrs of engagement a week, of which 12 hrs (usually spread over 3 days) is contact teaching. The rest is self-study or clinic attendance. Weekly study commitment approx. 14 hrs.